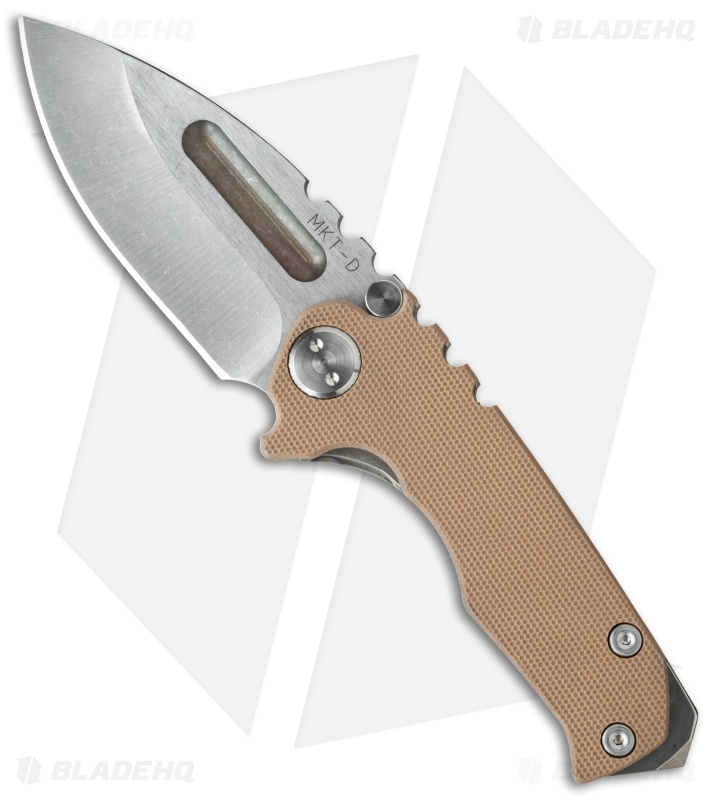 The Micro Praetorian is a scaled down version of the regular Praetorian and a great size for those looking for a more discreet knife. The Micro has the same build, with a 1/8" thick titanium frame. This model has a coyote tan G-10 handle with a flame anodized titanium frame. 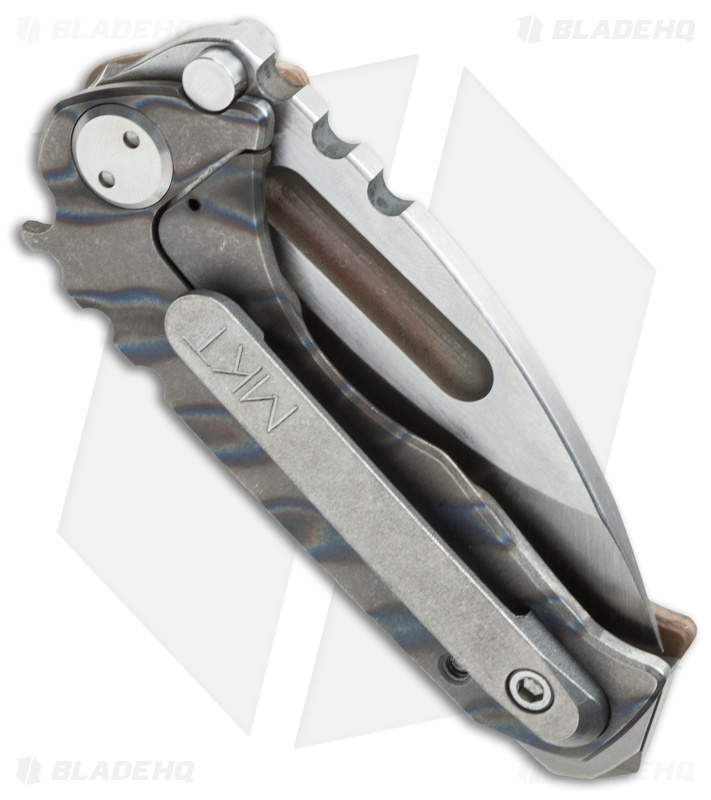 The Micro Praetorian comes with a tip-up carry pocket clip and beefy glass breaker tip. 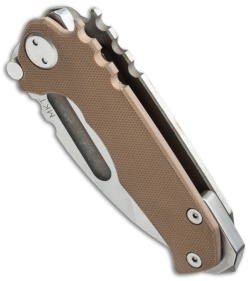 This powerful knife has a stonewashed D2 tool steel blade with no-bull spine texture and a wide thumb groove opener. Comes in a waterproof case.